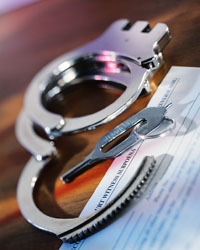 A criminal arrest in Boulder, CO can be a life-changing event. If you are convicted of a crime, the emotional, legal, and financial strain can follow you for the rest of your life. It is critical that you do everything you can to protect your rights, including hiring an experienced Boulder criminal defense attorney. Why Choose Phil Clark as Your Criminal Defense Attorney? Boulder Criminal Defense Lawyer Phil Clark has been practicing criminal law for over 20 years, first as a prosecutor for the Denver District Attorney’s Office, and then as a criminal defense attorney in Boulder, Colorado. Attorney Phil Clark knows how the District Attorney’s office works and can help you find ways to minimize your sentence or even have your case dismissed before it reaches trial. If you or a loved one has been charged with a criminal offense in Colorado, whether a misdemeanor or a felony, call us at (303) 444-4251 or Contact Us online for a FREE consultation. 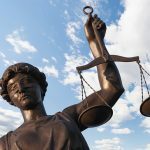 Boulder Criminal Defense Attorney Phil Clark helps protect you from missteps and puts together the best defense possible – saving you from fines, damage to your permanent record, and even jail time or prison. Phil Clark has been practicing criminal law for over 25 years – as a prosecutor for the Denver District Attorney’s Office, and then as a criminal defense attorney in Boulder, Colorado. He knows the in’s and out’s and many levels of the legal system, and can help you find ways to minimize your sentence or have your case dismissed before it reaches trial. Phil Clark knows the difficult legal processes as an assault and battery lawyer, and he will defend you with the compassion and professionalism you deserve in these difficult times. He is dedicated to providing his clients with favorable results through creative solutions, perseverance, and his many years’ worth of experience. The “Some Other Dude Did It” (SODDI) defense is used when the defendant claims even though the crime itself was indeed committed, someone else did it. Broadly regarded as the “mistaken identity” defense, SODDI can and has been used in a variety of different cases, from DWI to Murder.